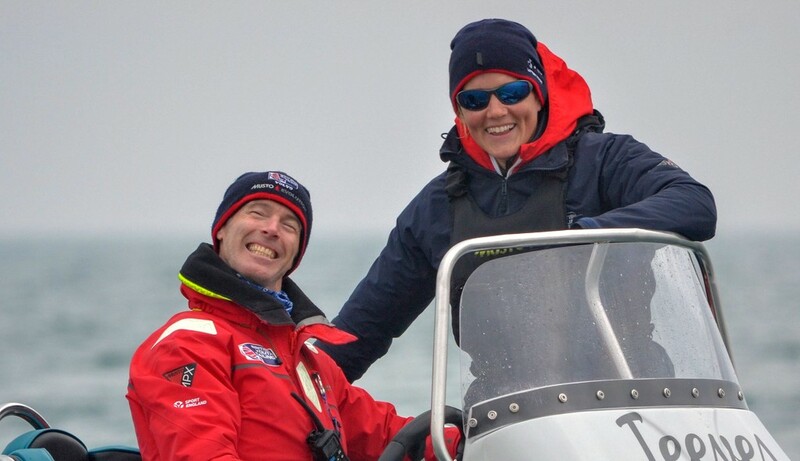 Following the lack of racing completed to date at the RYA Youth National Championships at WPNSA, on Thursday Peter Saxton the PRO will try to complete as many as five races per fleet. Below are the leaders to date (17 Apr) after some additional late results from day 2 were added. In the standard Laser fleet after 4 races, 1st Joseph Drake RNSYC by one point from Ben Childerley RSYC, with third Krishan Bhogal of Manor Park. In the Boy’s Radial after 4 races, Nick Welbourn of Hykeham SC has the overall lead with 19pts, ahead of Matt Beck ASWC with 20pts and third Arthur Fry with 31 points. After 3 races in the 4.7 Laser, 1st is Michael Crosbie Royal Cork YC, 2nd Scott Forbes Loch Lomond SC and 3rd Milly Jinks, Paignton SC. Two races for the Topper fleet, 1st is Tom Campbell (2,2) Parkstone YC, 2nd Tom Thwaites (1,6) Snowflake SC, and 3rd Ben Purrier (6,3) Parkstone YC. The Nacra 15 hit the water with three races completed for the International fleet. 1st BEL Lucas Claeyssens and Anne Vandenberghe 4pts, 2nd GER Silas Mühle and Levke Moeller 5pts, and 3rd GBR Theo Williams and Jasmine Williams 14pts. And in the 420 fleet after two races: 1st Eleanor Keers and Faye Chatterton 2pts, 2nd Haydn Sewell and William Heathcote 8pts, 3rd Jess Lavery and Rebecca Coles 8pts. The Bic Techno 293 fleet managed four races: 1st Boris Shaw 8pts, 2nd Guy Owen 9pts, 3rd Roan Clarke 13pts and 4th Catrin Williams 19pts.